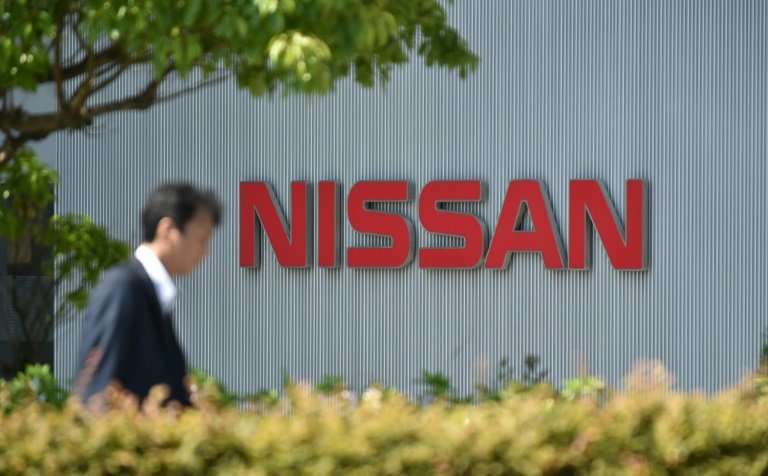 Japanese automaker Nissan will axe hundreds of staff at its car plant in northeastern England due to a sharp fall in diesel car sales, a source told AFP on Friday. Questioned about media reports of hundreds of job losses at Nissan's factory in the coastal city of Sunderland, a source close to the matter confirmed the news but declined to give a timeframe. The news also comes as Britain's car sector, which is largely foreign-owned, continues to face Brexit uncertainty on the horizon. The Sunderland plant—which builds the Juke, Leaf and Qashqai car models, many of which are diesel—employs 7,000 workers who produce some 500,000 vehicles per year. However, Nissan saw British sales slump 35 percent in the first quarter on an annual comparison. That mirrors a broader trend across the British automobile industry, with demand sliding on UK government plans to improve air quality. And diesel car sales are also struggling elsewhere in Europe. More and more consumers are choosing to ditch diesel cars in favour of automobiles that are regarded as more environmentally-friendly. The vast bulk of Sunderland-built Nissan cars are exported to elsewhere in Europe. Meanwhile, Friday's news came as Nissan Motor Manufacturing UK (NMMUK) announced that it would implement a "short term" reduction in volumes at the sprawling Sunderland facility. "As previously communicated, we are transitioning to a new range of powertrains over the next year," a company spokesman said. "As we make the operational changes required to support this, we will be managing a planned short-term reduction in powertrain supply and plant volumes at NMMUK in line with our 2018 business plan. "We are now discussing these operational changes with our employees." However the spokesman declined to give any indication of job losses. The news comes after Jaguar Land Rover revealed one week ago that it will cut production and not renew the contracts of around 1,000 temporary workers at its Solihull plant in central England. The group, owned by India's Tata Motors, blamed "continuing headwinds impacting the car industry". Japan's major automakers have meanwhile long expressed concerns about the impact of Brexit on their access to the European market. After receiving private guarantees from the British government, Carlos Ghosn, the head of Nissan, in October 2016 gave the green light to new investments in Sunderland. For its part, Japanese rival Toyota announced in March 2017 a multi-million-pound investment in a car assembly plant in central England, despite Brexit worries. Britain is scheduled to leave the European Union in March 2019 after a shock referendum that was held in June 2016. A brief discussion of regulatory and tax changes affecting diesels would be informative instead of a worthless aspersions of "brexit uncertainties".